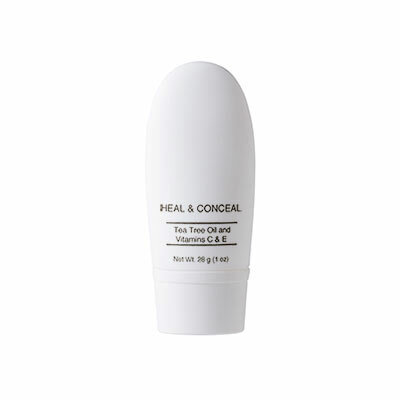 This blemish buster works quickly to help dry up and cover your blemishes at the same time. Tea Tree Oil is a powerful natural essential oil that acts as an antiseptic & antibacterial known to help diminish blemishes. 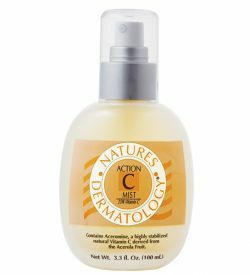 Vitamins C & E are powerful anti-oxidants that help reduce inflammation and enhance the skins recovery process. Vitamin B Complex helps to give skin a radiant, youthful appearance. Light & Medium: Water (Aqua), Fragrance (Parfum), Stearic Acid, Myristal Myristate, Sorbitol, Glyceryl Stearate, Ethylhexyl Palmitate, Caprylic/Capric Triglyceride, Triethanolamine, Butylene Glycol, Phenoxyethanol, Carbomer, Tocopheryl Acetate, Polysorbate 80, Ethylhexylglycerin, Lecithin, Melaleuca Alternifolia (Tea Tree) Leaf Oil, Aloe Barbadensis Leaf Juice, Disodium EDTA, Sesamum Indicum (Sesame) Seed Oil, Phospholipids, Retinyl Palmitate, Cholecalciferol, Cholesterol, Phytonadione, Thiamine Nitrate, Calcium Panthothenate, Pyridoxine, Ascorbic Acid, Niacin, Potassium Sorbate, Sodium Benzoate, Citric Acid, Amyl Cinnamal, Benzyl Salicylate, Citral, Citronellol, Geraniol, Butylphenyl Methylpropional, Limonene, Linalool, +/- May Contain; Galactoarabinan, Iron Oxides (CI 77491, CI 77492, CI 77499), Titanium Dioxide (CI 77891), Red 33 (CI 17200), Yellow 6 (CI 15985), Yellow 5 (CI 19140), Blue 1 (CI 42090). Clear: Water (Aqua), Fragrance (Parfum), Stearic Acid, Myristal Myristate, Sorbitol, Glyceryl Stearate, Ethylhexyl Palmitate, Caprylic/Capric Triglyceride, Triethanolamine, Butylene Glycol, Carbomer, Tocopheryl Acetate, Polysorbate 80, Lecithin, Melaleuca Alternifolia (Tea Tree) Leaf Oil, Aloe Barbadensis Leaf Juice, Disodium EDTA, Sesamum Indicum (Sesame) Seed Oil, Phospholipids, Retinyl Palmitate, Cholecalciferol, Cholesterol, Phytonadione, Thiamine Nitrate, Calcium Panthothenate, Pyridoxine, Ascorbic Acid, Niacin, Phenoxyethanol, Isopropylparaben, Isobutylparaben, Butylparaben, Potassium Sorbate, Sodium Benzoate, Citric Acid, Amyl Cinnamal, Benzyl Salicylate, Citral, Citronellol, Geraniol, Butylphenyl Methylpropional, Limonene, Linalool, +/- May Contain; Galactoarabinan, Iron Oxides (CI 77491, CI 77492, CI 77499), Titanium Dioxide (CI 77891), Red 33 (CI 17200), Yellow 6 (CI 15985), Yellow 5 (CI 19140), Blue 1 (CI 42090).